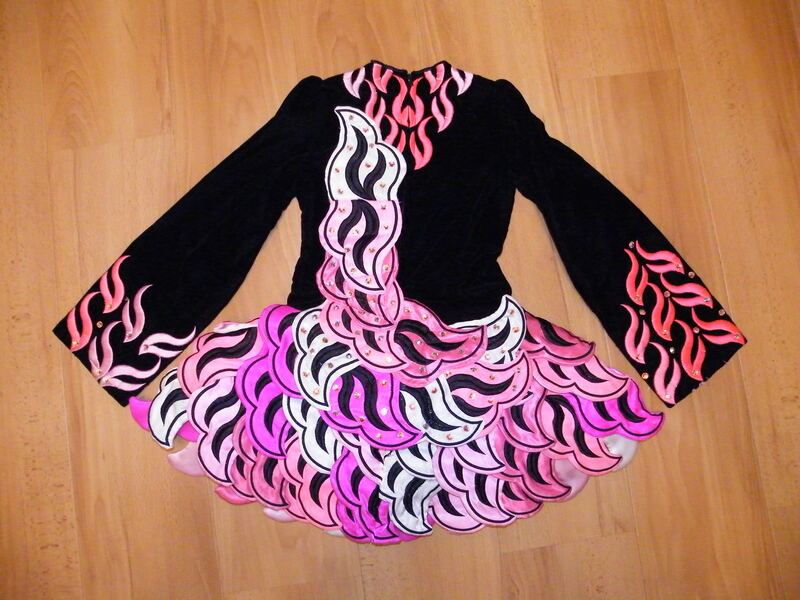 Stunning up to date black, pink and white Gavin Doherty dress, suitable for age 8-10 champion dancer. Bodice is black velvet and swarovski crystals are lavished through out. 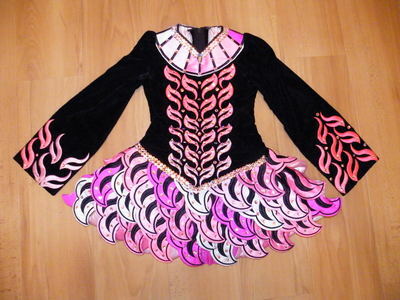 This dress is in fabulous condition and looks amazing on stage. There seems to be room for let down on this dress.